NHL News : Breaking: The KHL's points leader has just signed with an NHL playoff team. The Las Vegas Golden Knights have just added a new weapon to their arsenal, although it sounds like he will not be available to the team for tonight's game. According to an official announcement from the Las Vegas Golden Knights organization, the team has signed forward Nikita Gusev to a one year entry level contract and it sounds like they intend to make use of him in very short order. 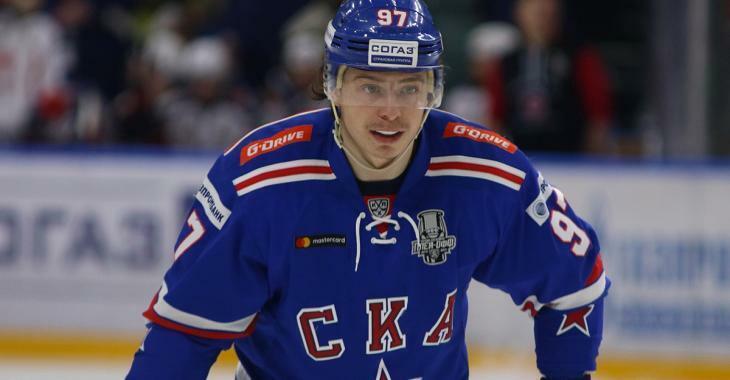 Vegas Golden Knights General Manager George McPhee announced today, April 14, that the team has signed forward Nikita Gusev to a one-year, entry level contract. This of course means that Gusev will not play tonight against the Sharks, which I suppose could be viewed as bad news, but the fact that the team will have him reporting on the very next day would appear to indicate that he will be used in the playoffs. Unlike some of the signings that have been announced in recent days from college hockey, Gusev is a fully grown man in the prime years of his professional hockey career and although he does not have any National Hockey League experience under his belt he has plenty of experience at the elite levels of the Kontinental Hockey League. It's easy to see how he could become a huge weapon for the Golden Knights in their series against the Sharks, but whether or not he can quickly transition his game to the NHL remains to be seen.